Thank you, Tamara Fogg and Friends of East County Arts for opening your hearts and home to IAJ students! 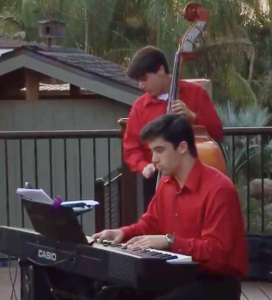 Chris Woods on bass and Ben Kelly on piano enjoyed putting together a performance just for you at your spectacular outdoor venue; it was a perfect backdrop to the music. We are very grateful for your continual support for deserving young musicians. You are part of something truly wonderful and fulfilling to our upcoming jazz students, who had the opportunity to perform in front of a new and welcoming audience! Thank you, M.A.N.D.A.T.E Records! IAJSD had a great time participating in Jazz at the Creek. 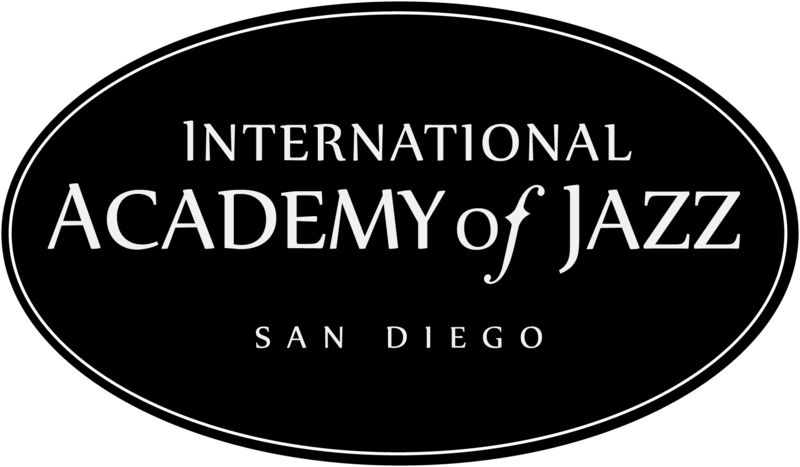 This Jazz with a PURPOSE concert series aligns with IAJSD’s mission to keep Jazz alive. A portion of the proceeds from Jazz at the Creek is going to a program we are honored to support: Providing food for elementary school children whose schools often provide their only meals. Thank you again for allowing IAJSD to be a part of this day! Congratulations to G-Dubb​​, the winner of our raffle for TWO VIP TICKETS to the Bayside Gospel Concert Aboard the Midway.